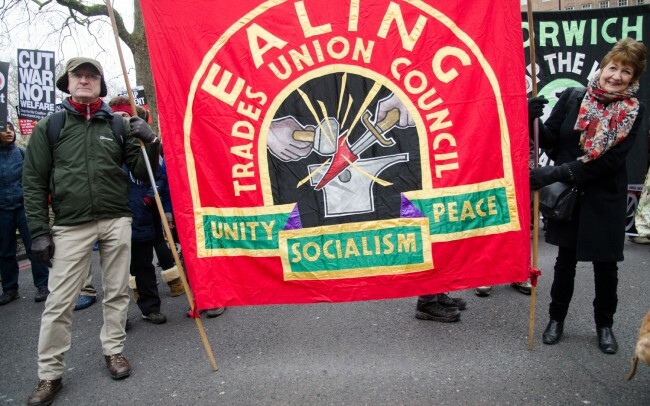 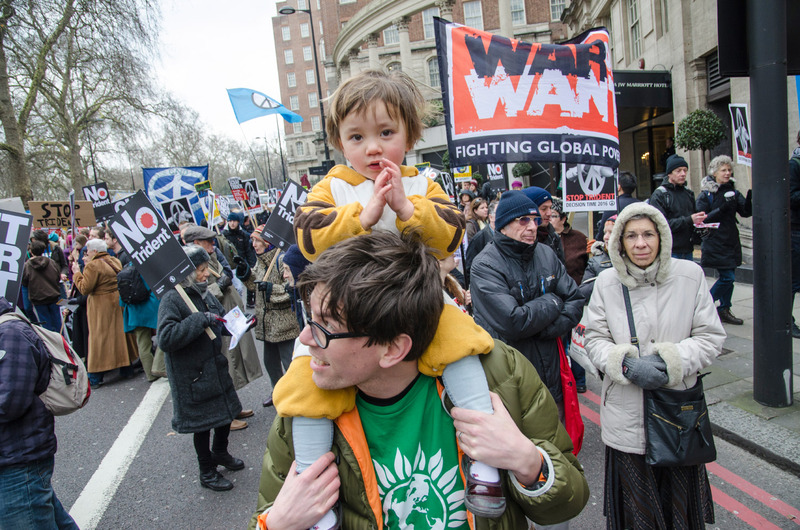 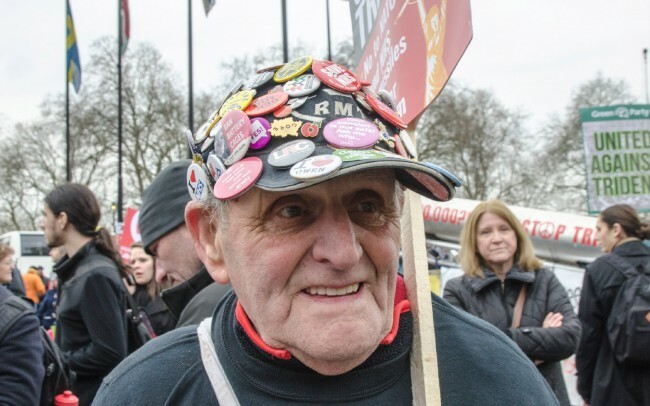 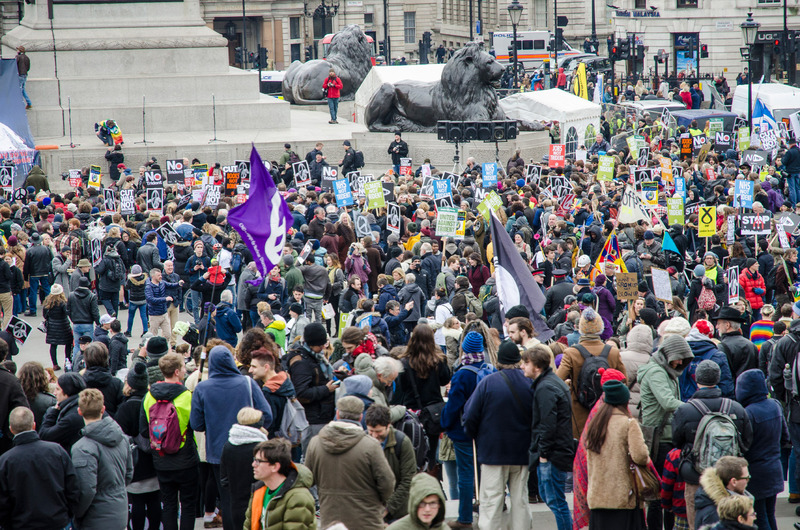 People gathered at 12 noon, Marble Arch, London and marched to Trafalgar Square for mass rally (60.000 people). 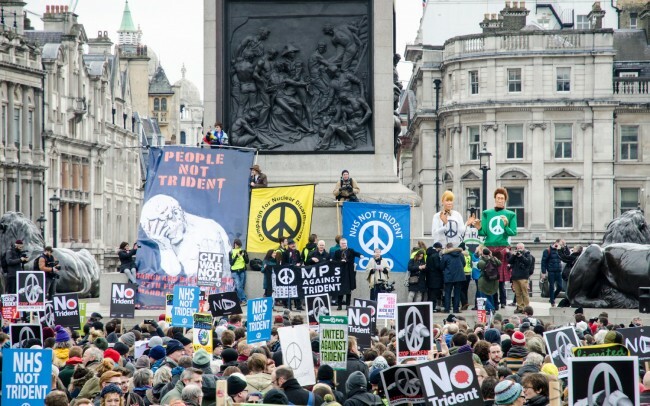 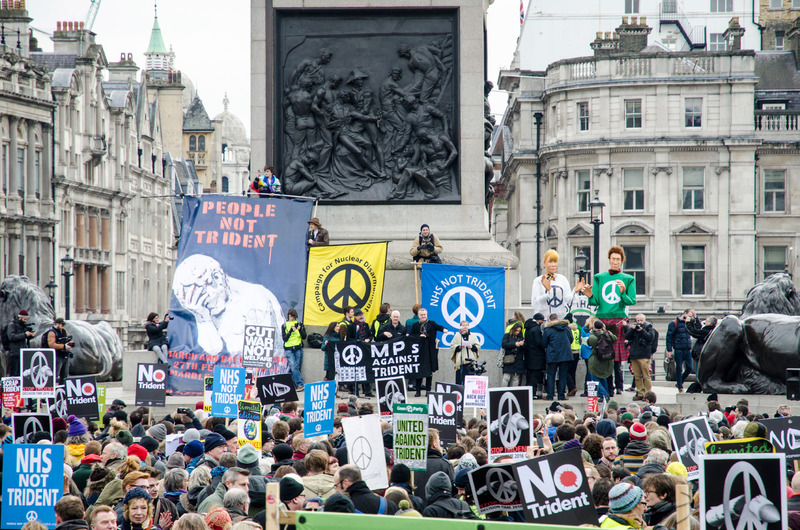 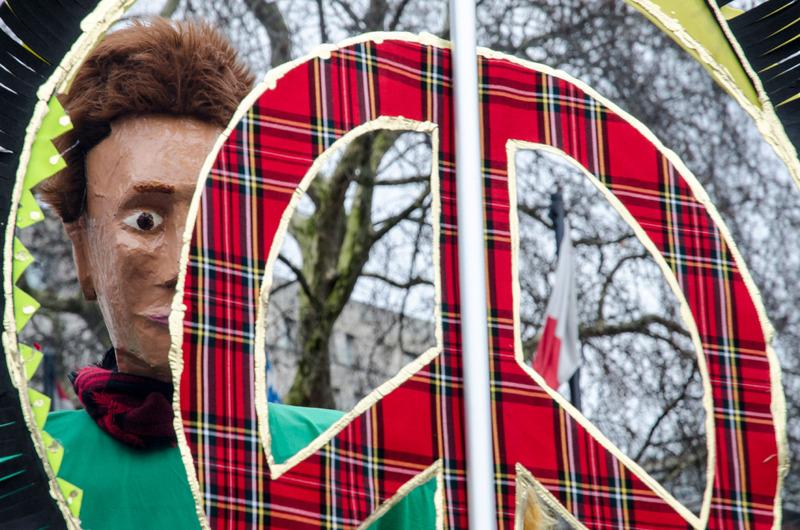 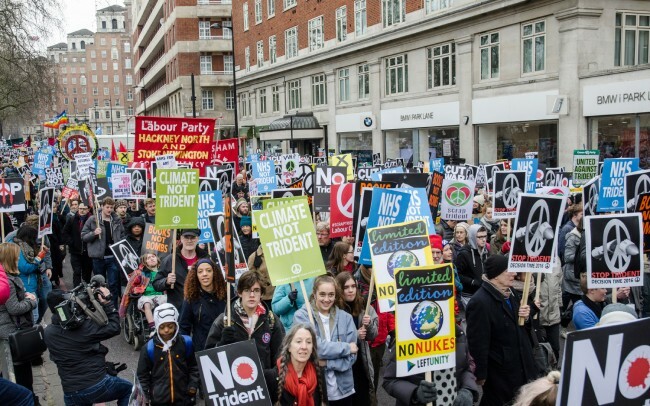 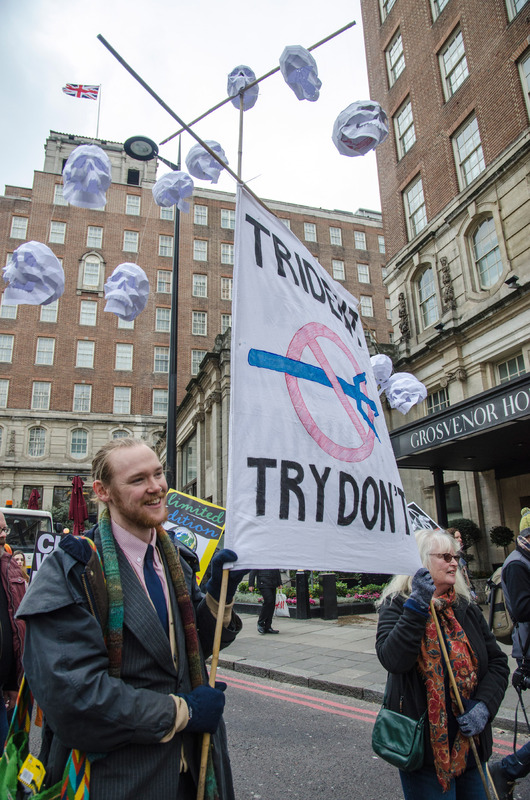 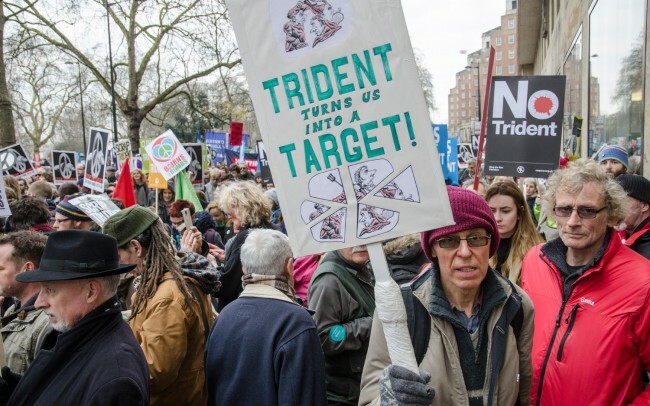 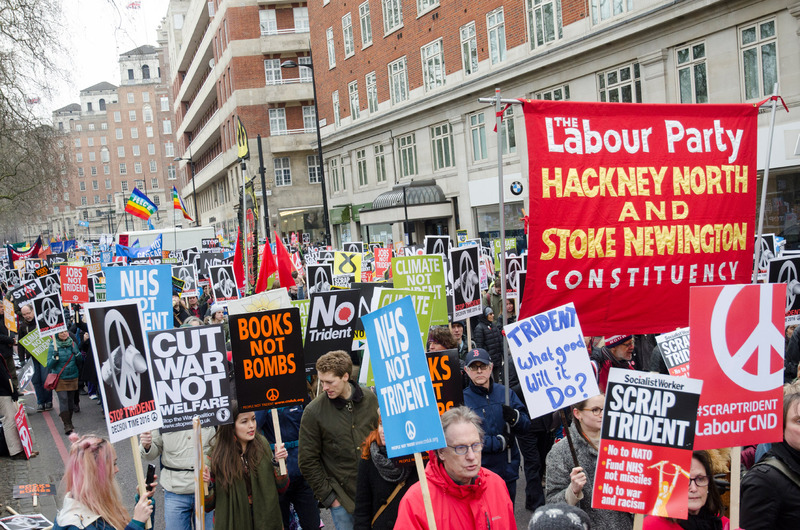 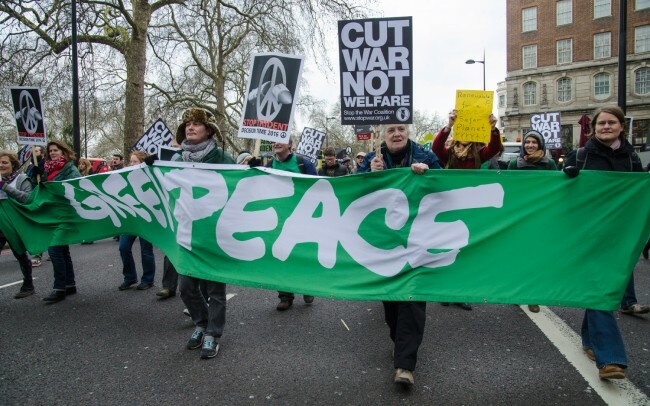 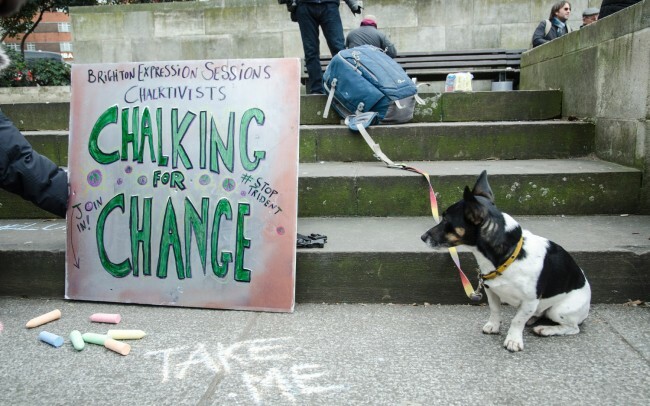 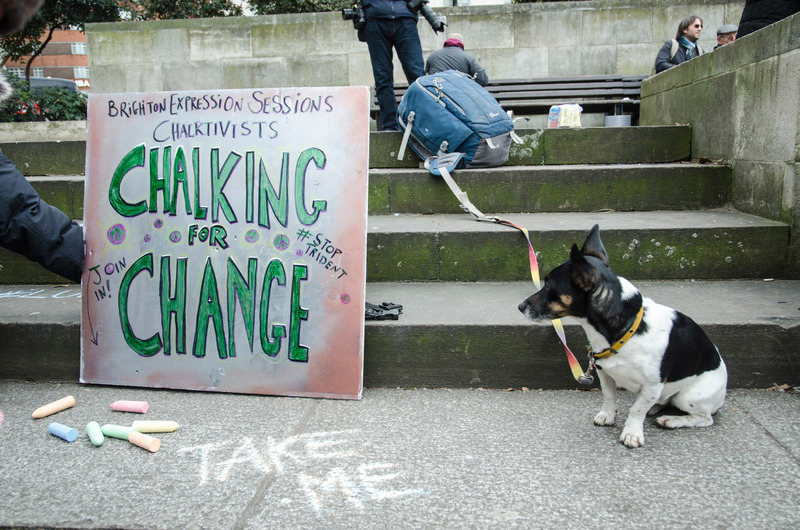 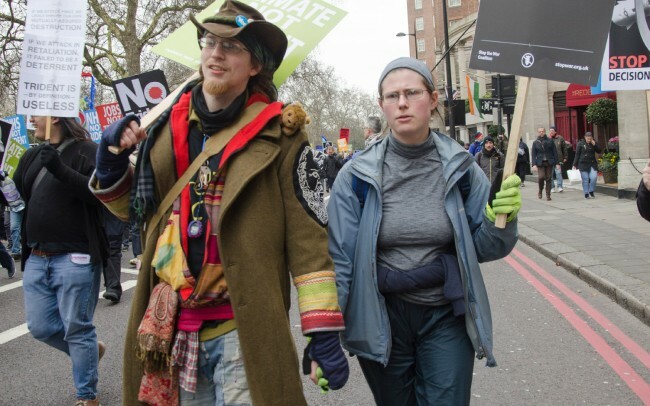 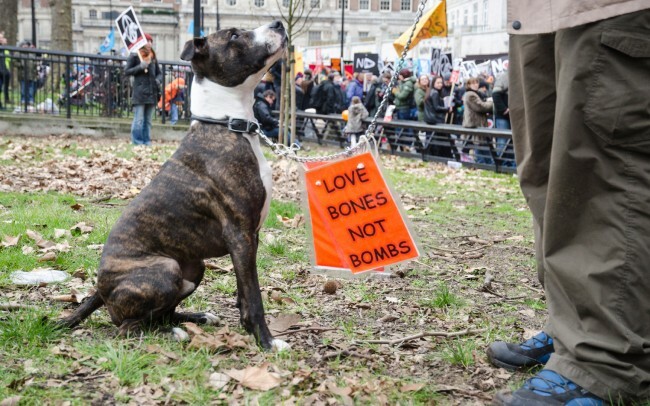 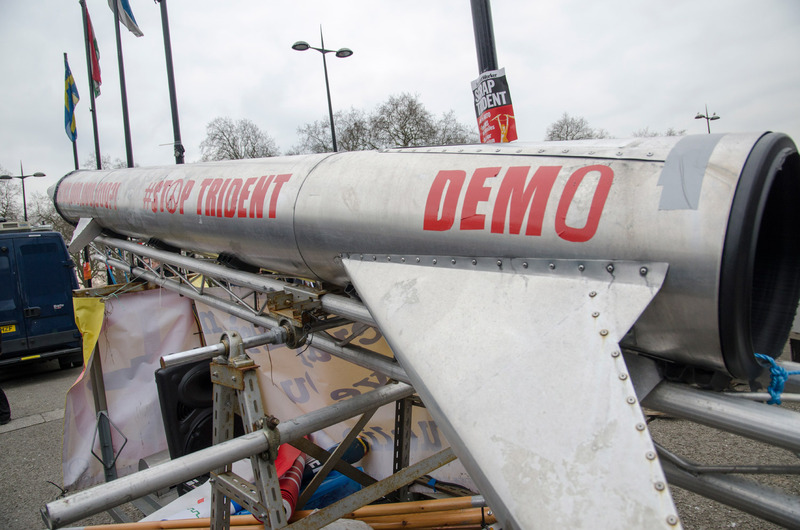 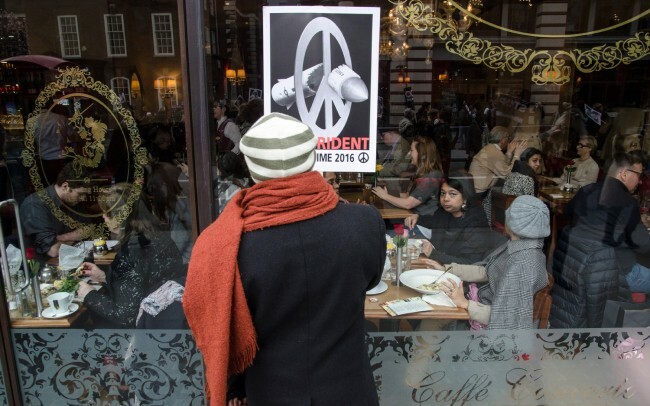 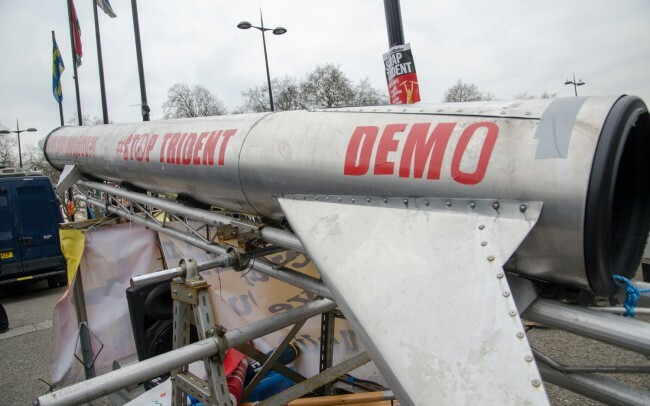 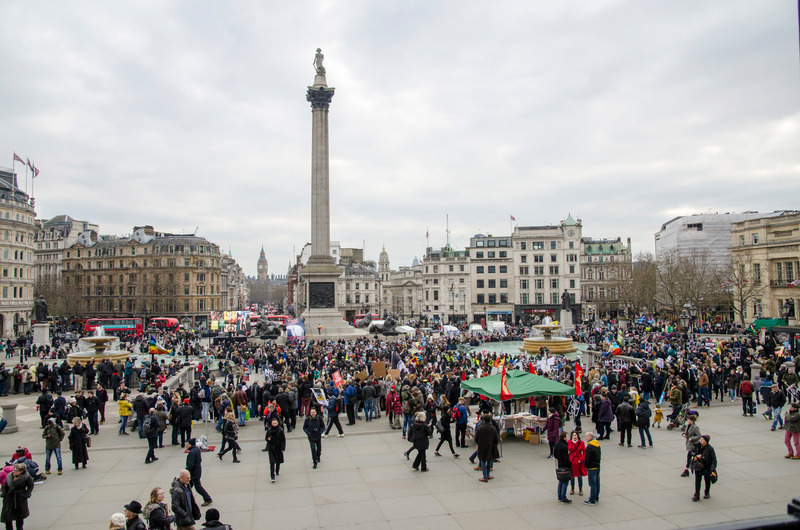 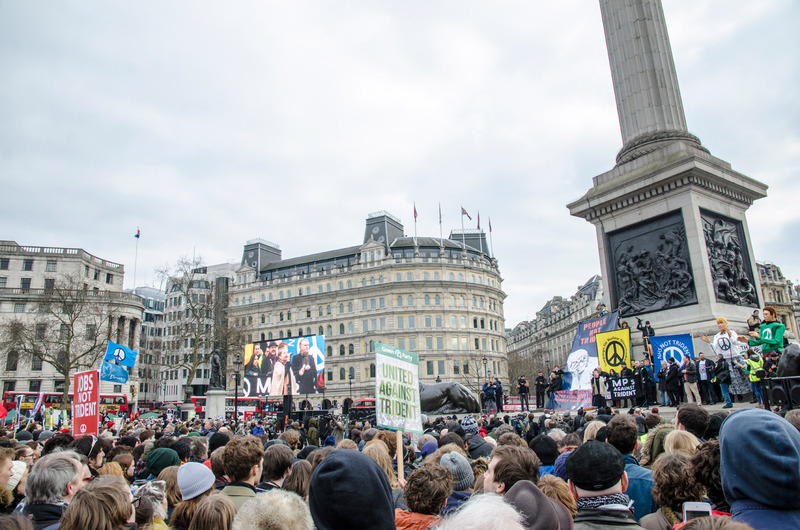 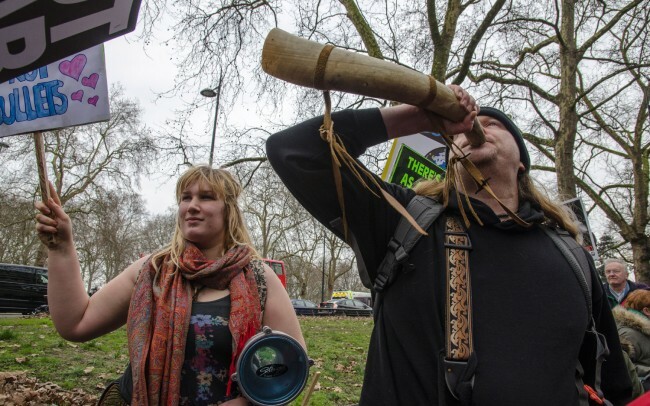 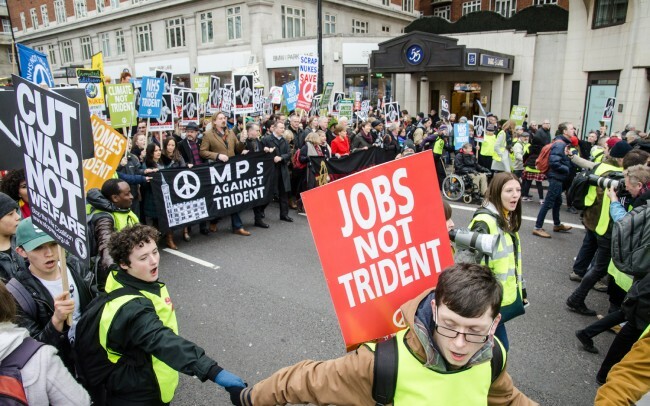 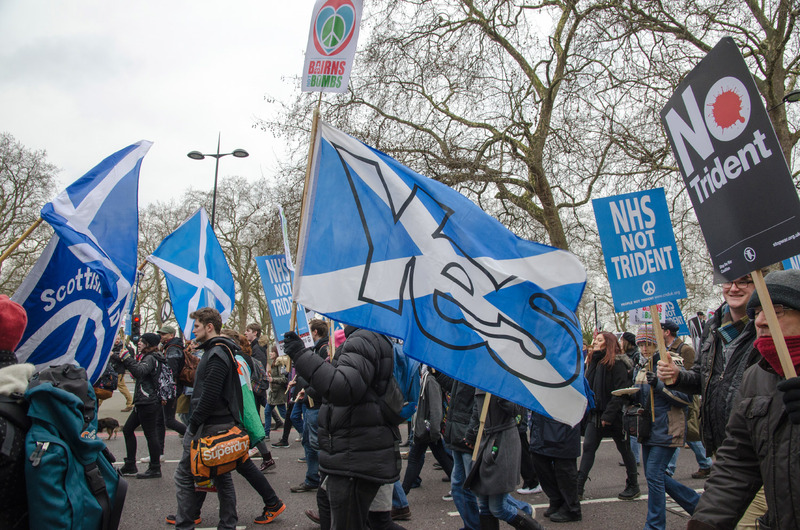 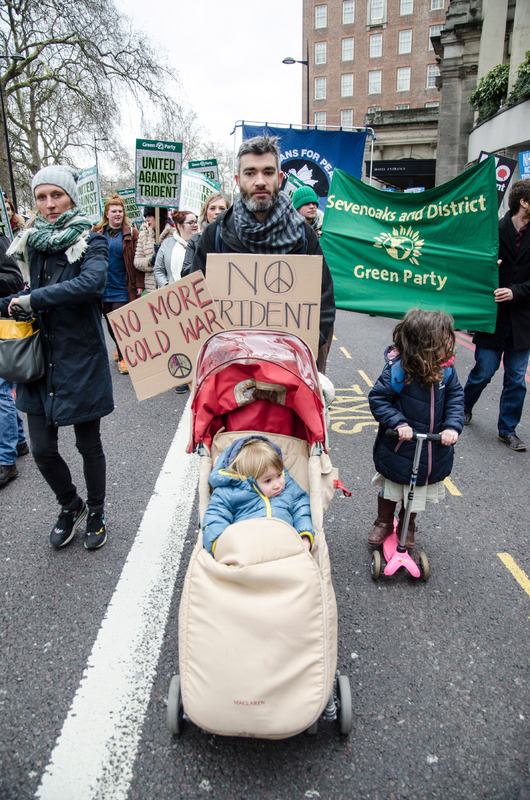 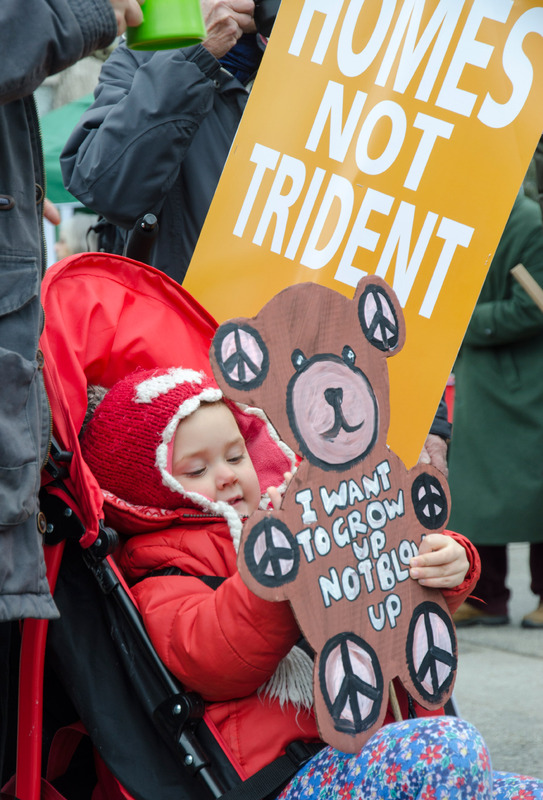 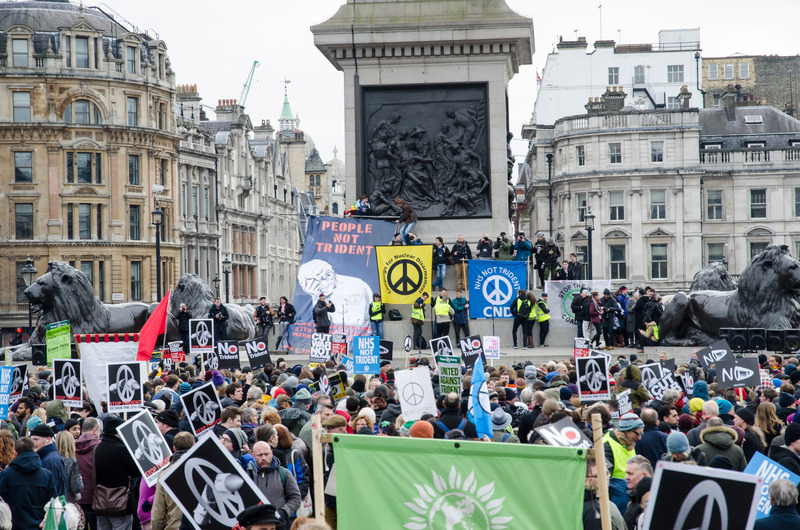 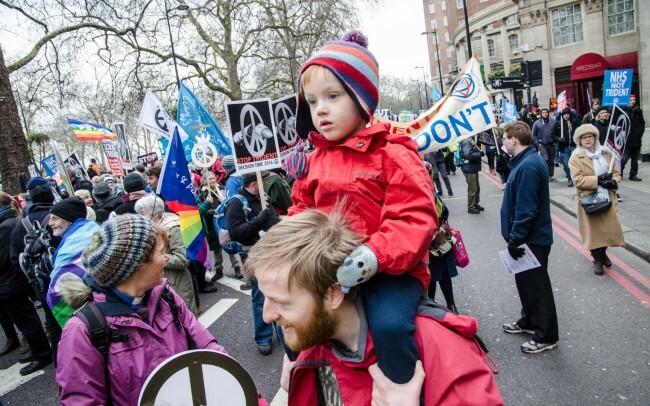 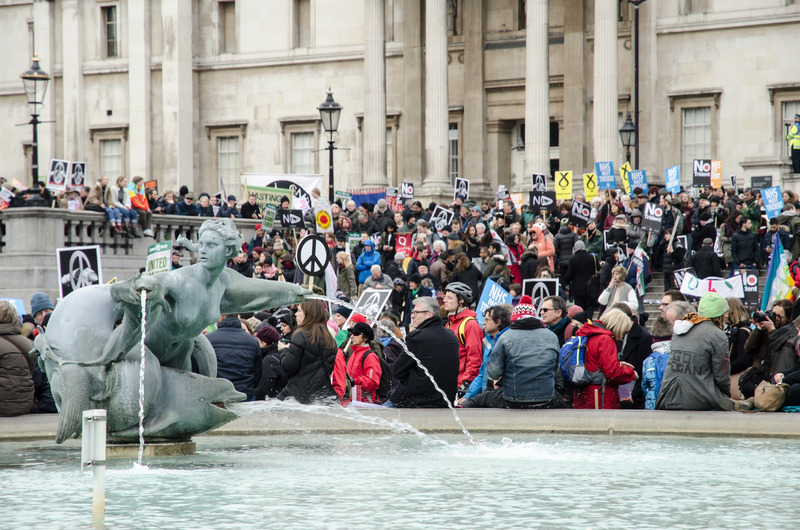 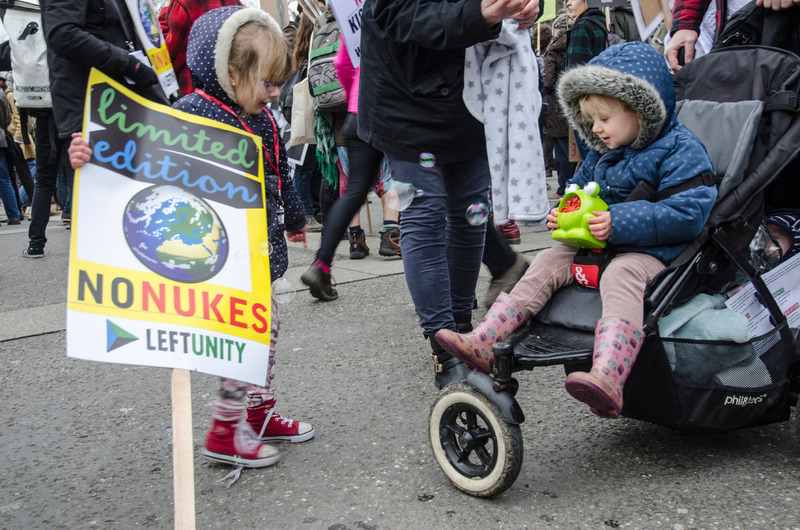 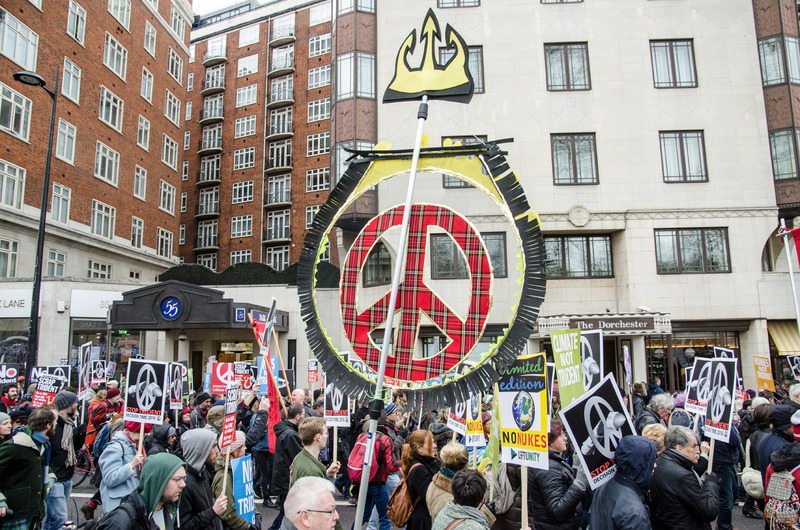 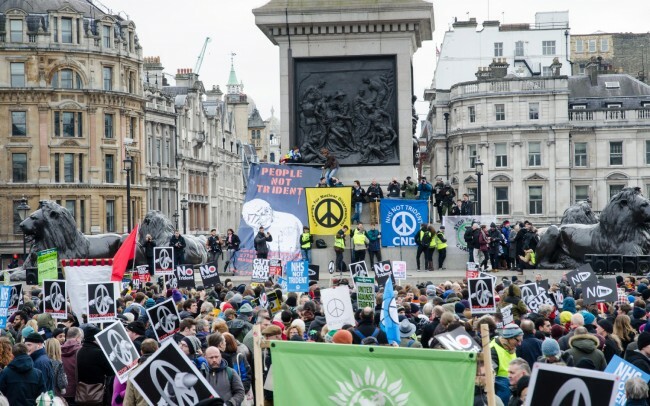 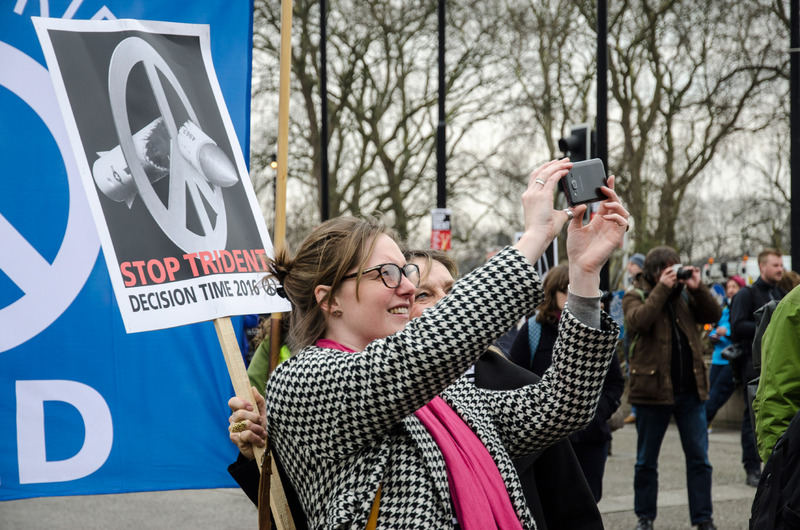 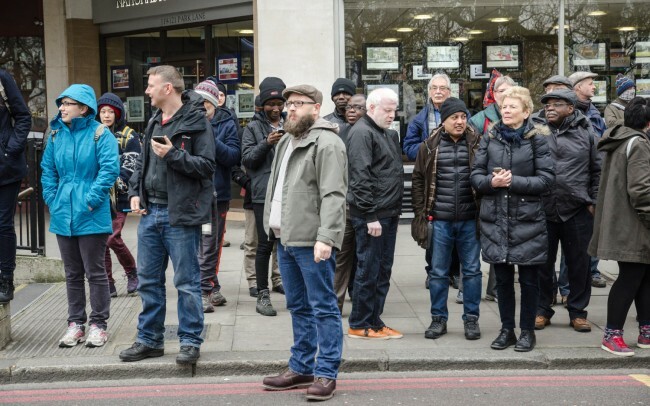 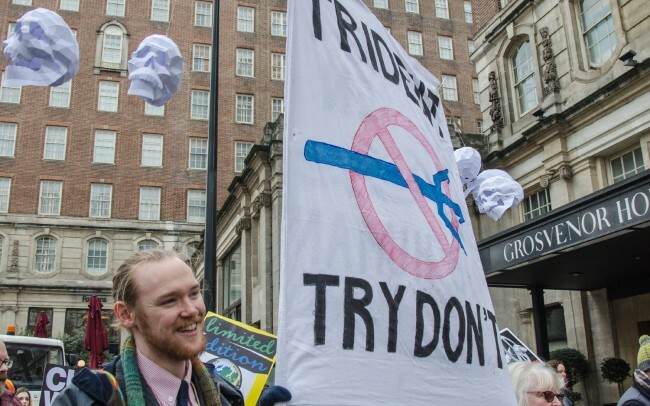 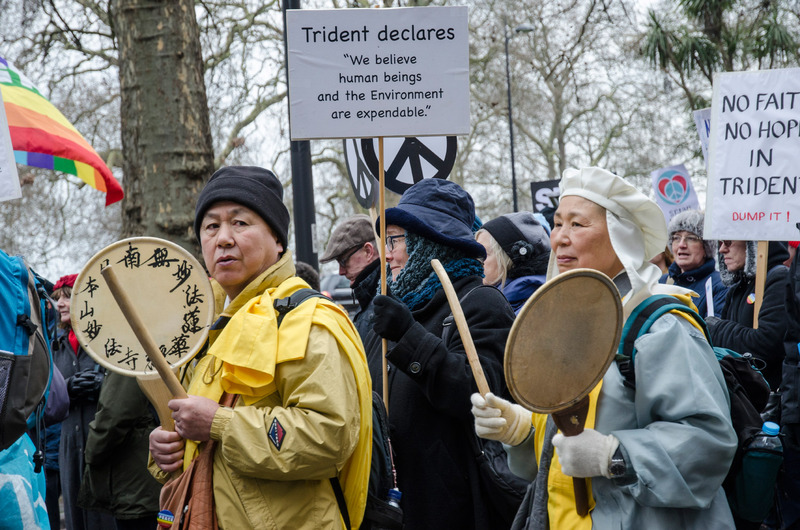 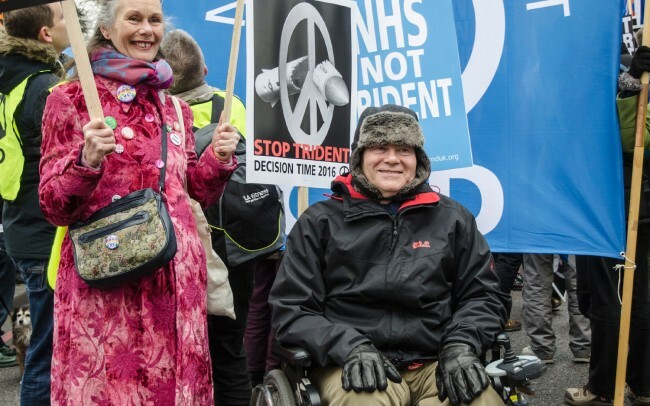 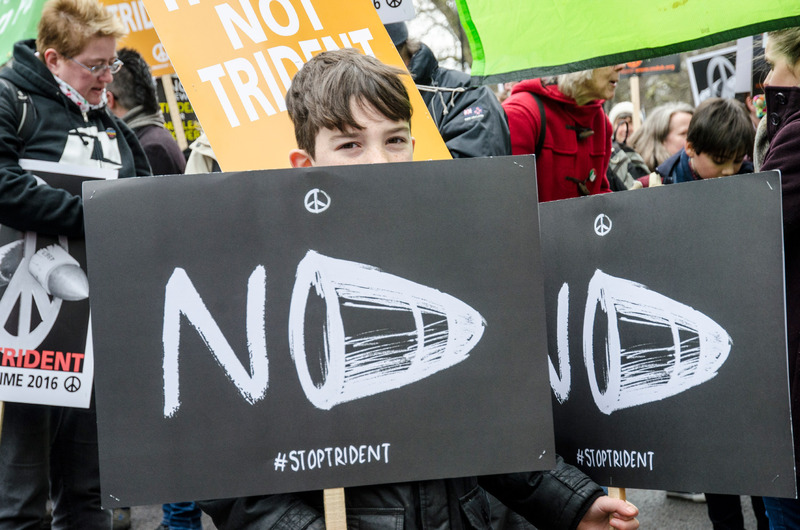 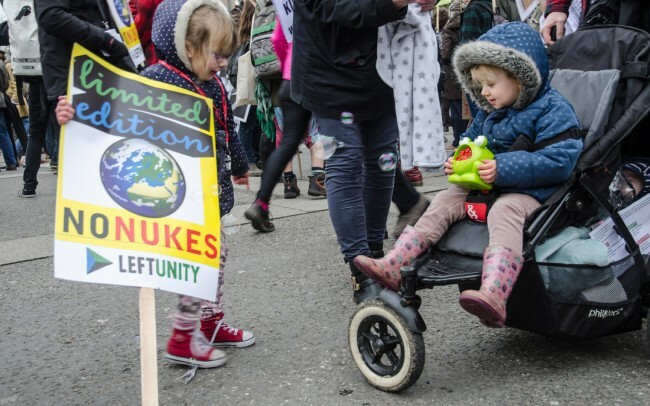 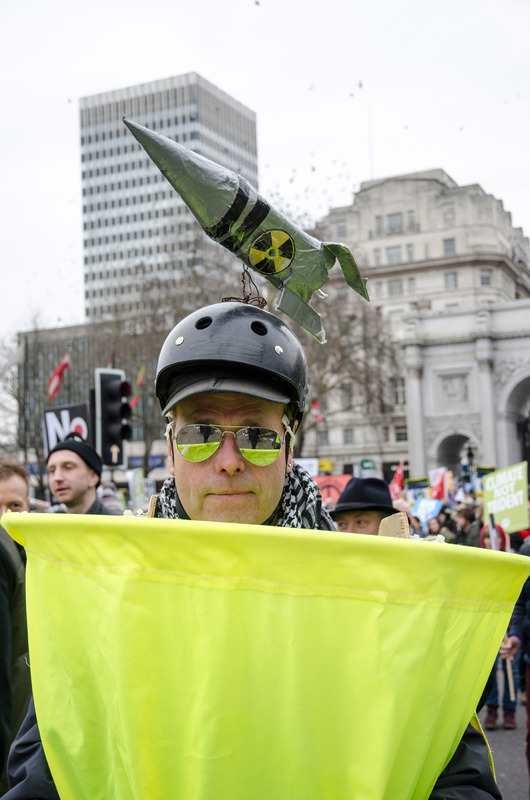 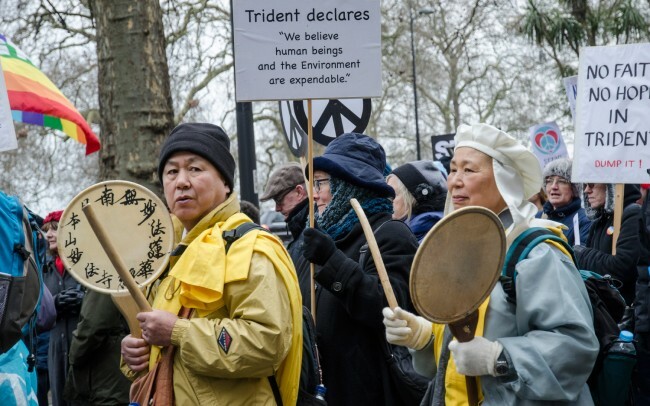 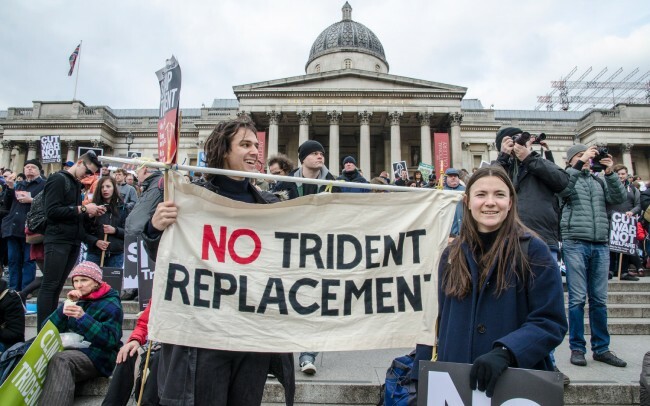 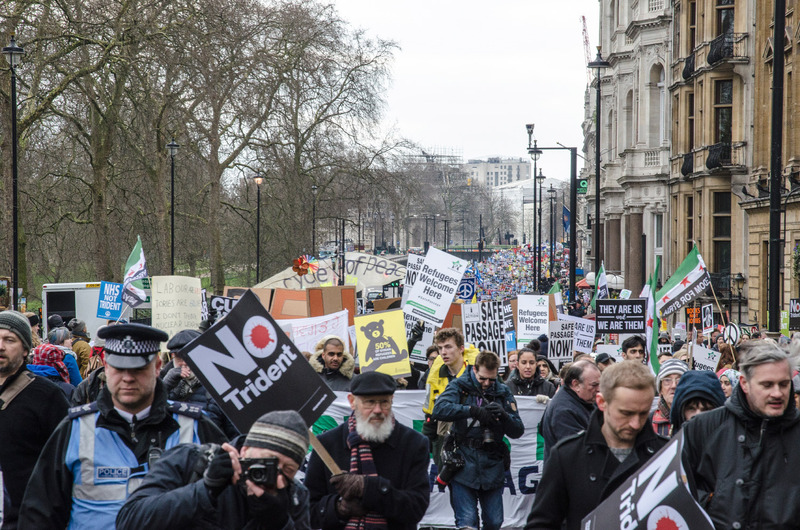 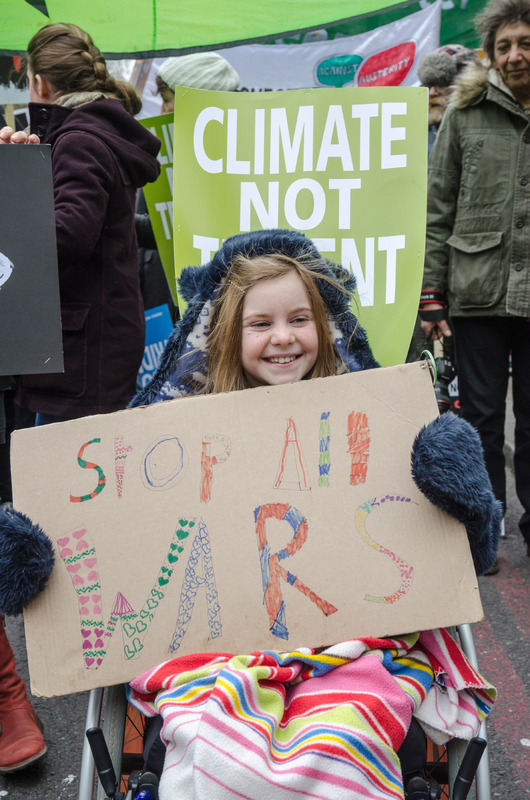 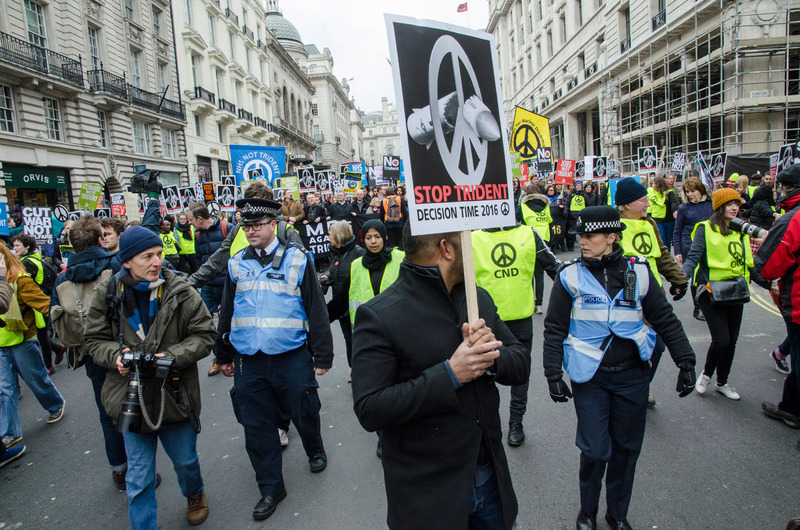 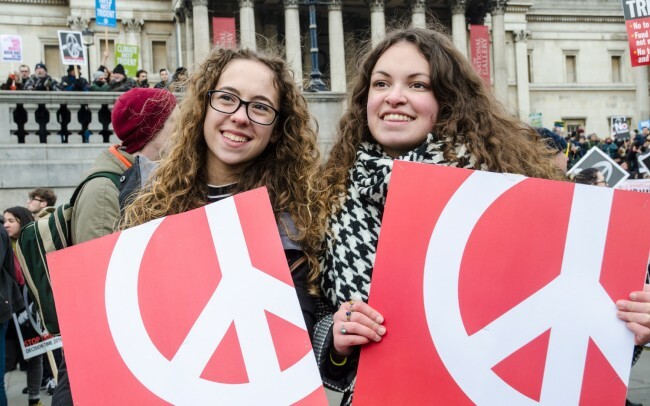 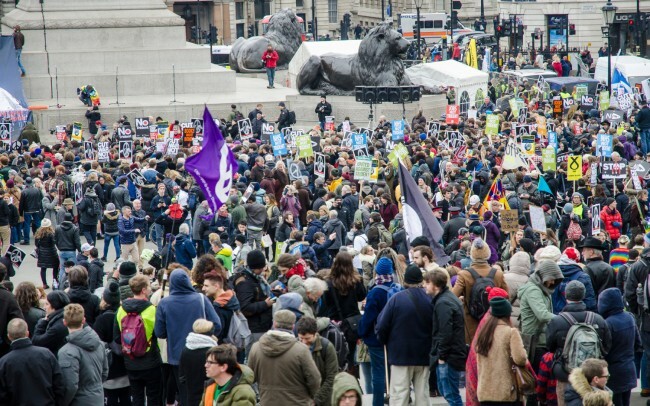 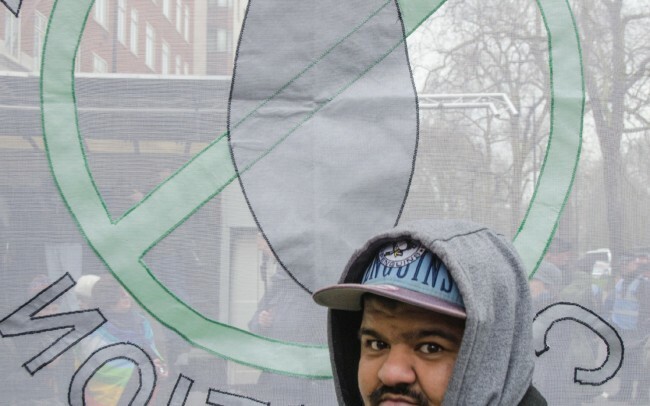 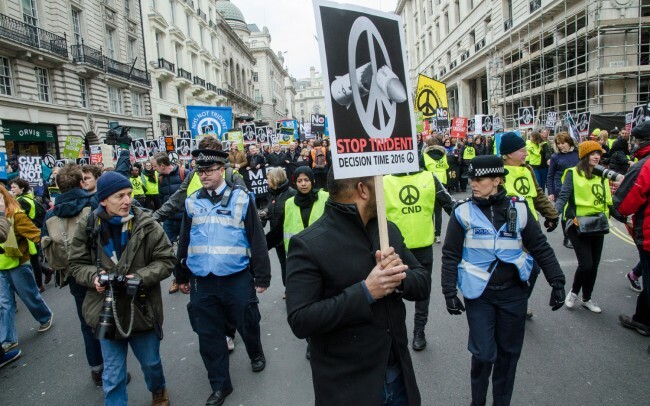 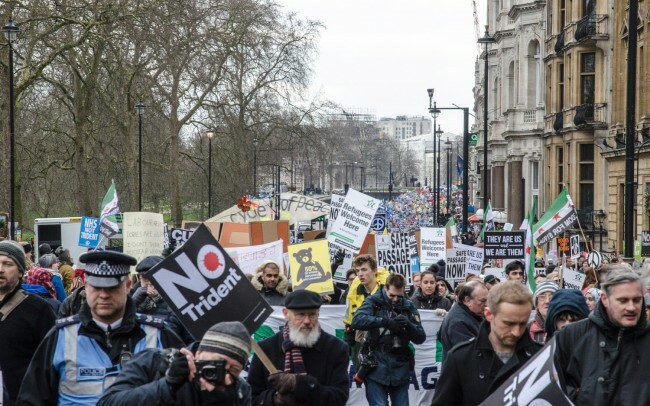 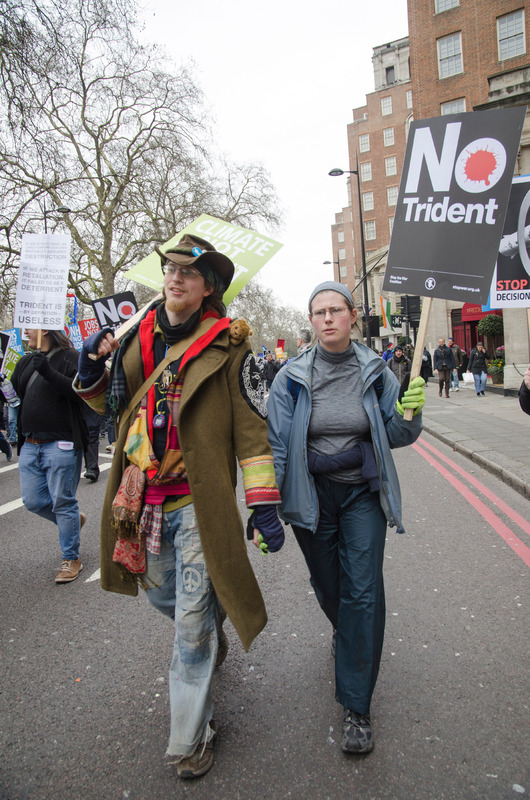 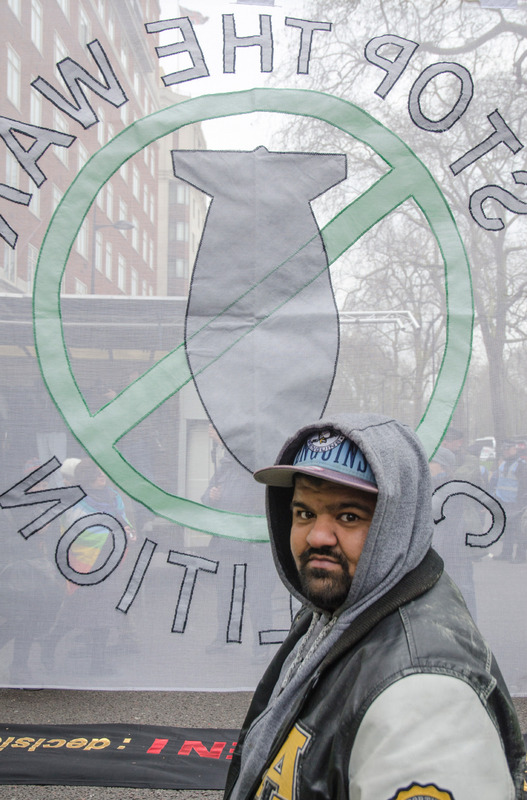 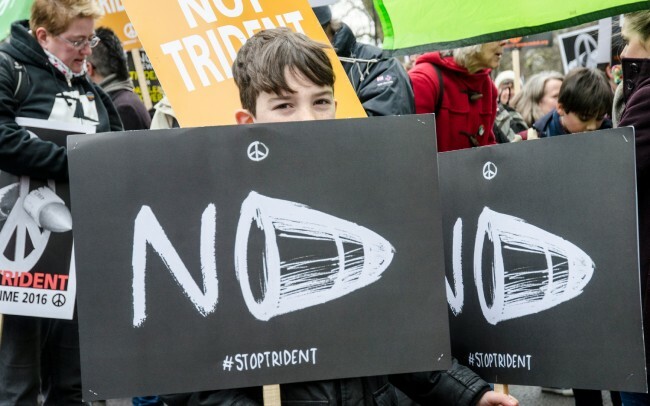 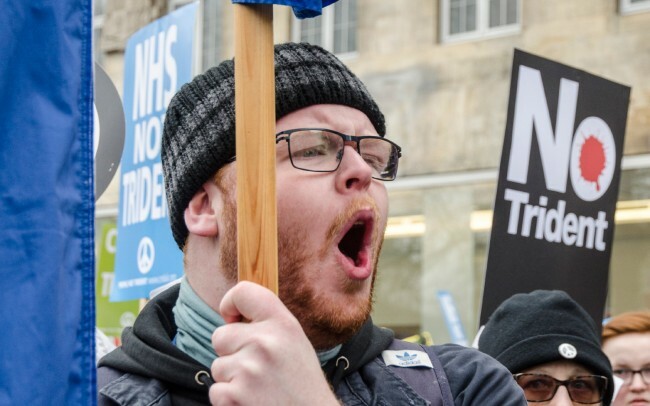 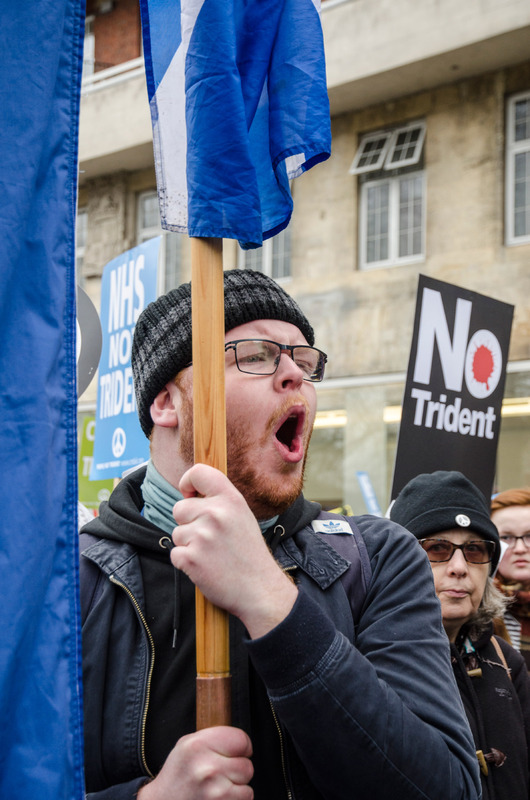 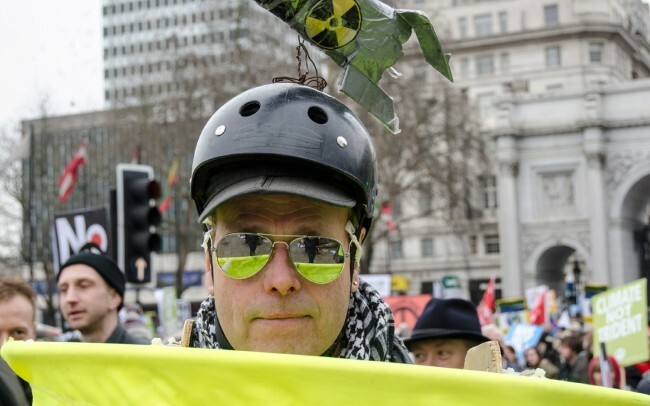 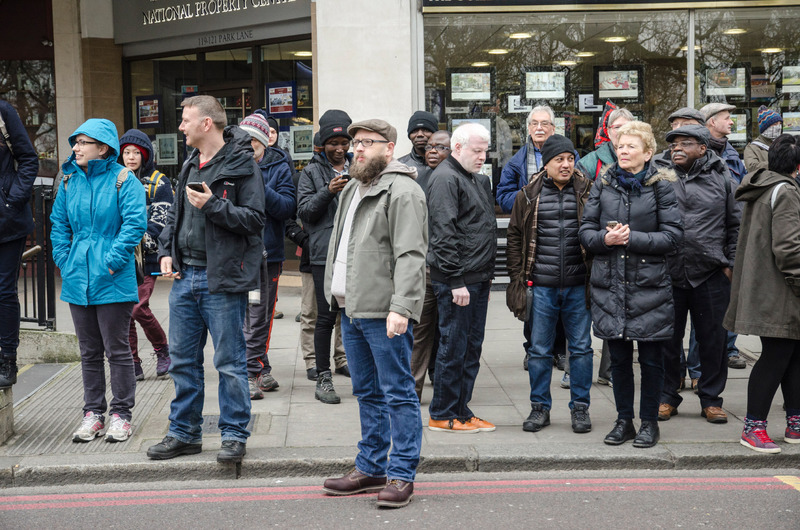 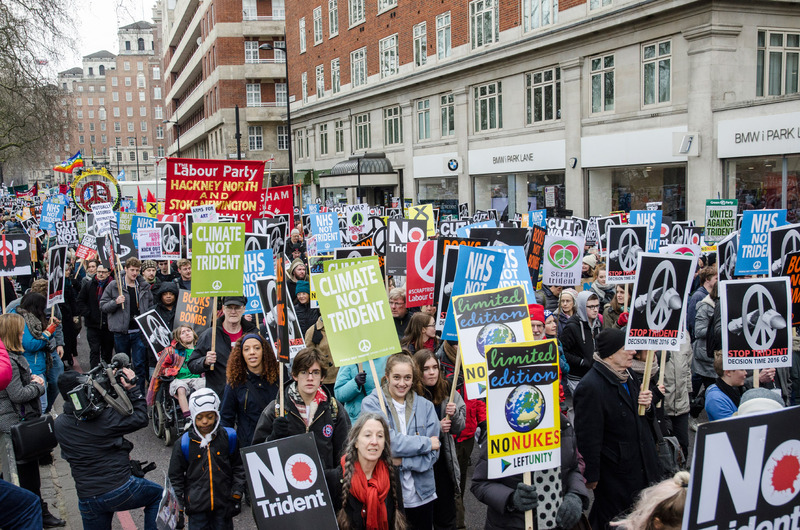 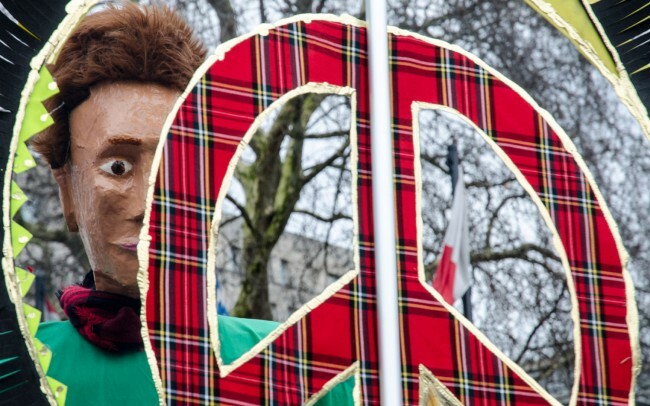 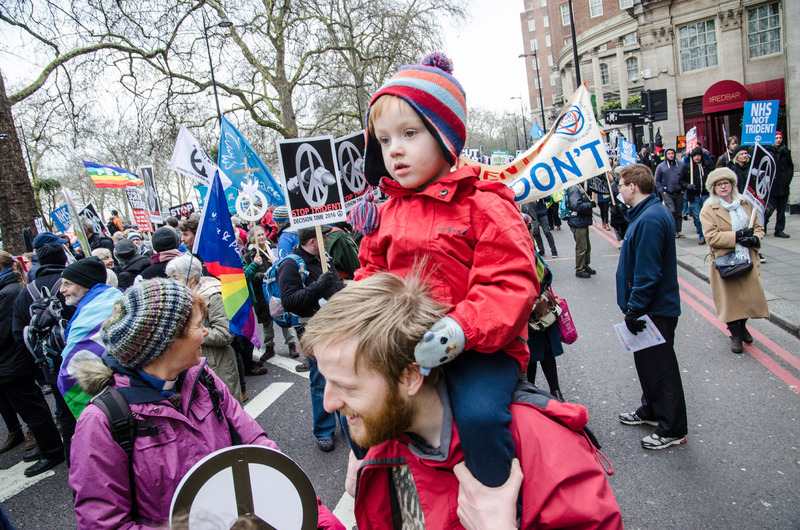 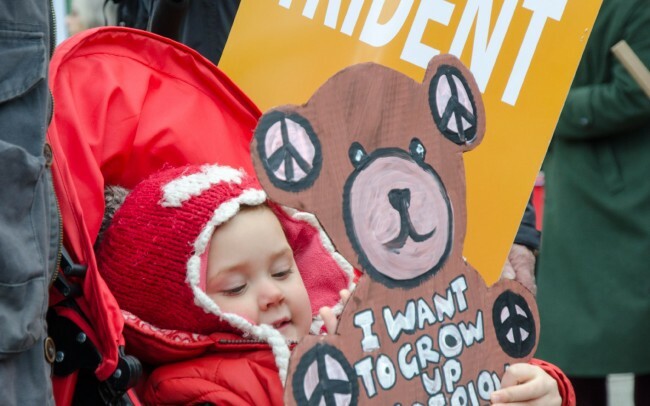 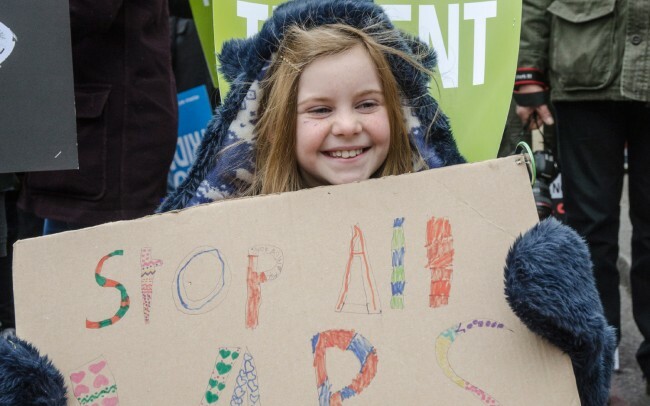 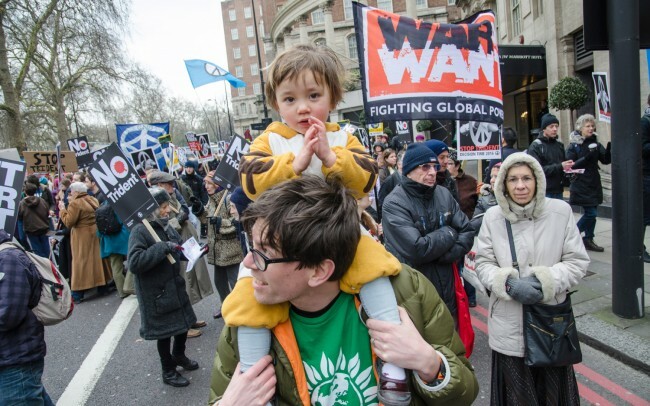 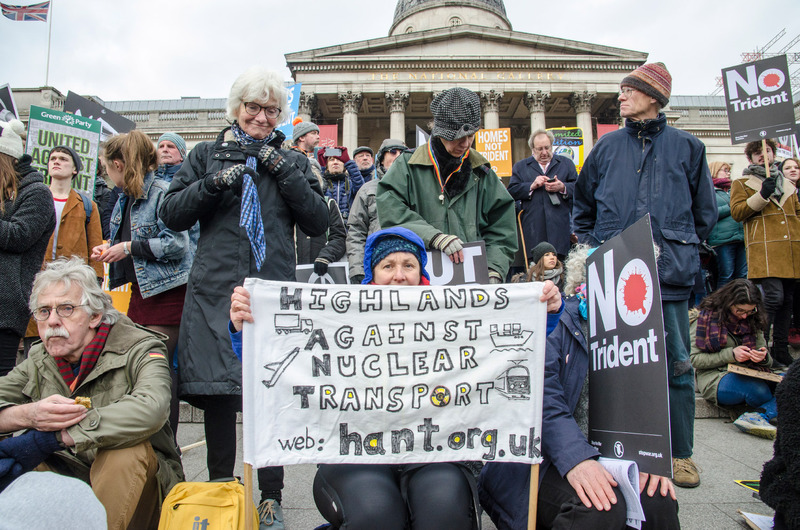 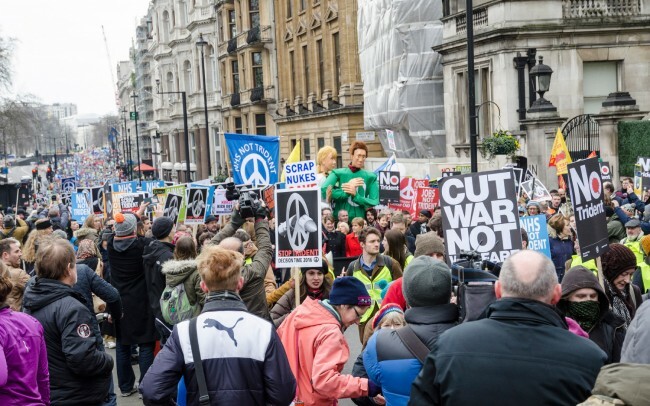 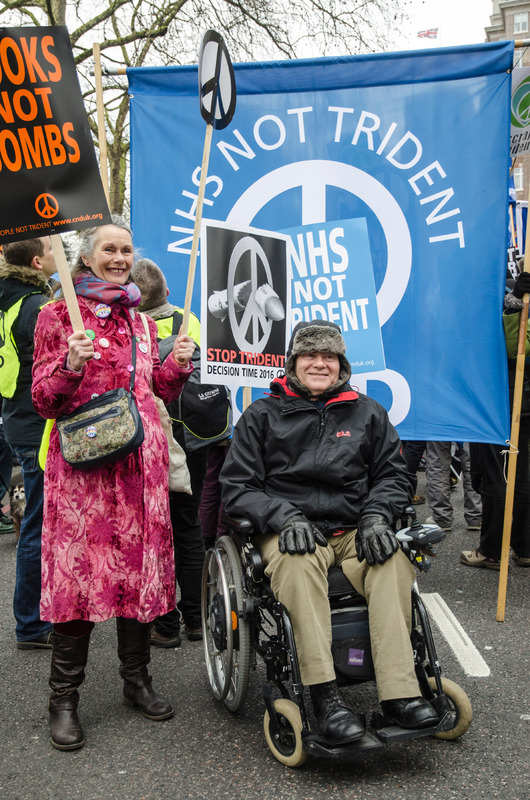 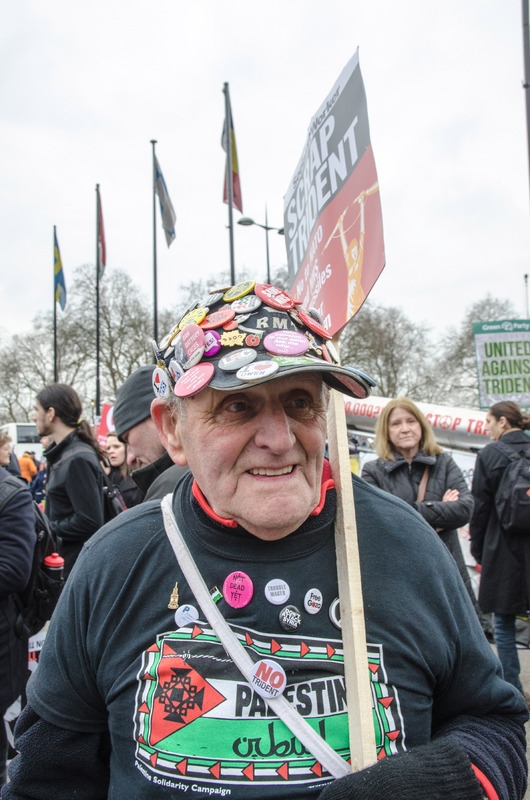 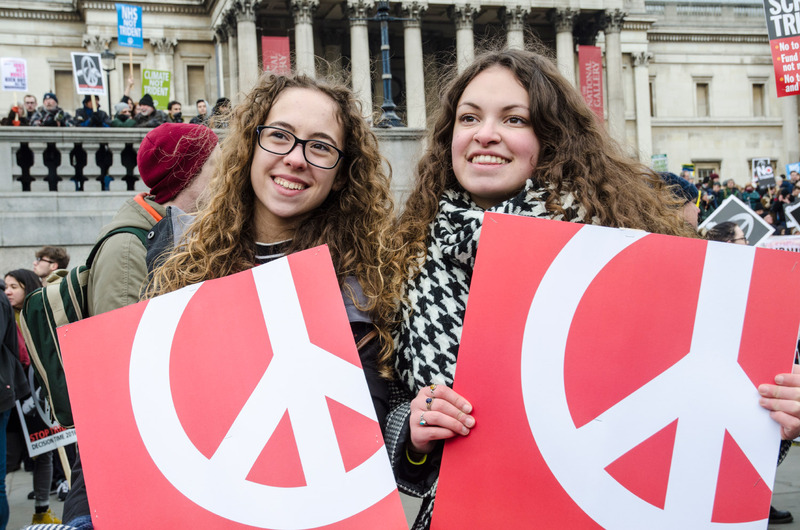 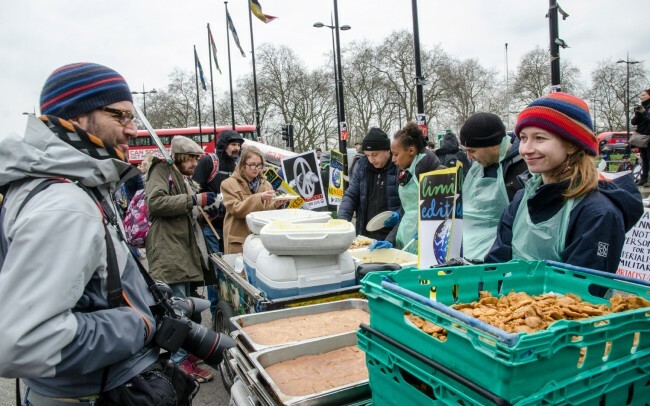 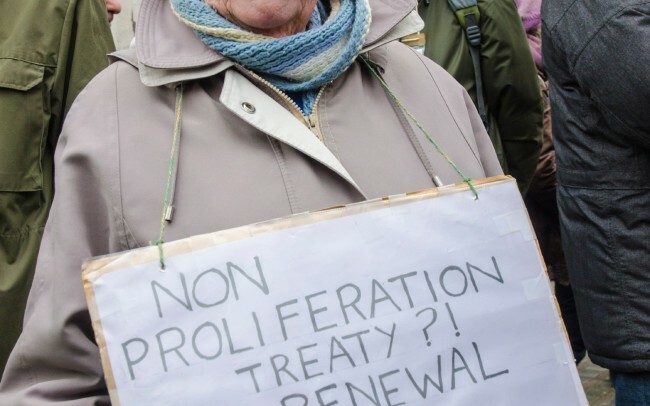 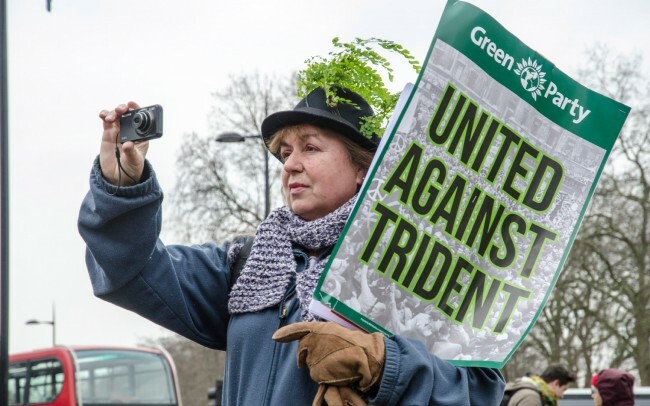 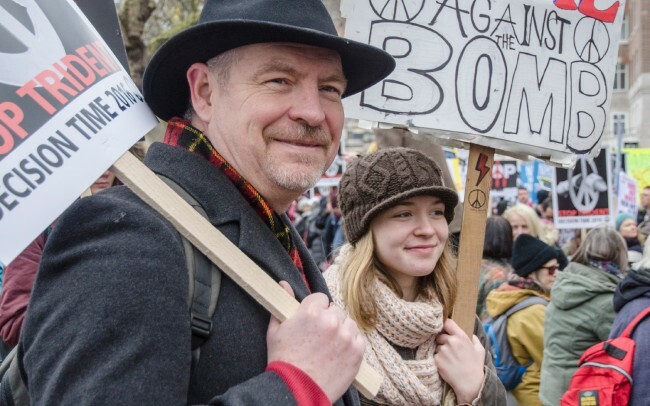 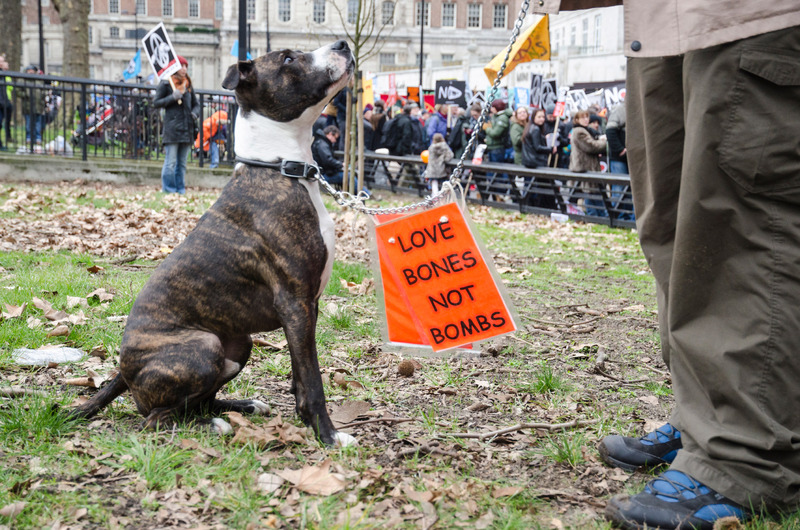 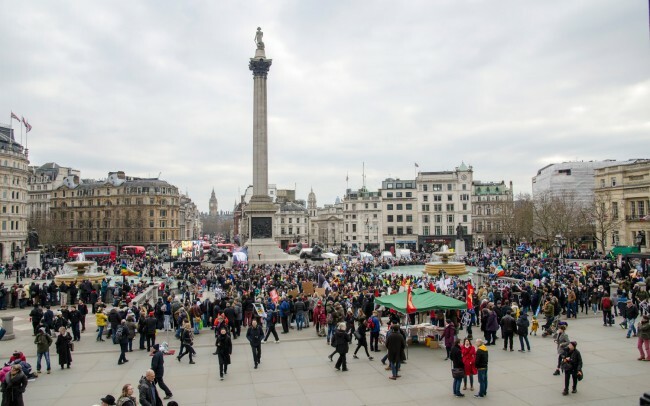 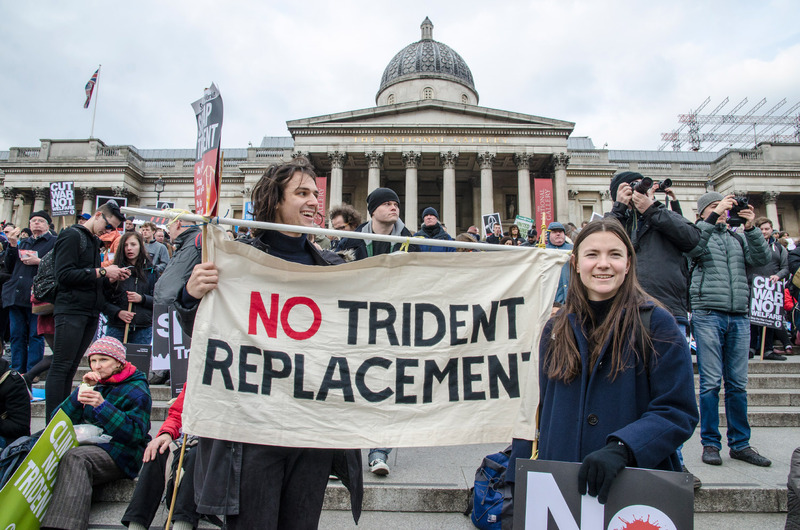 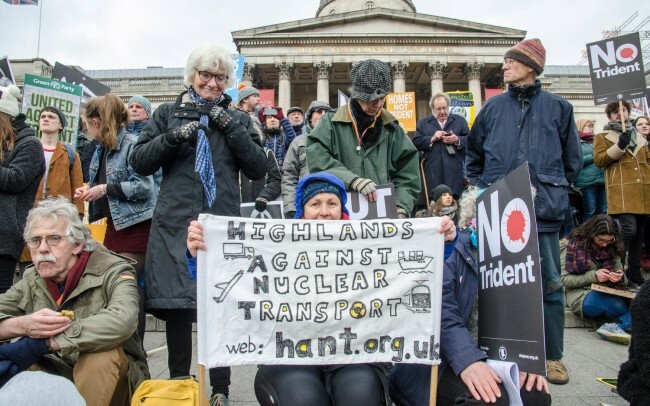 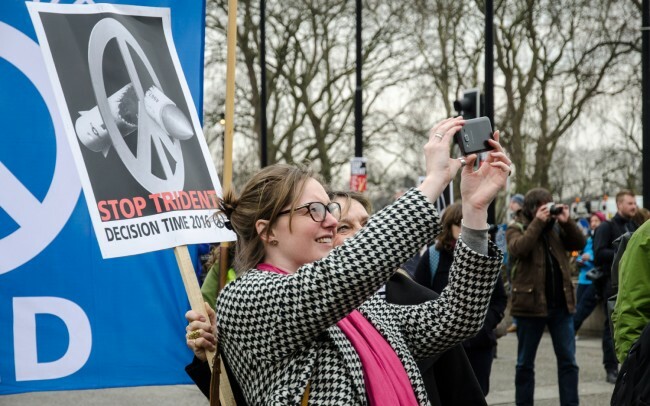 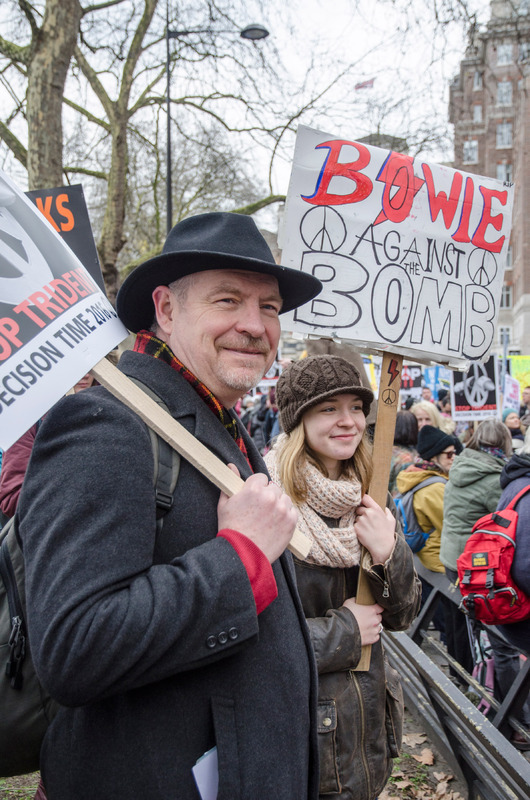 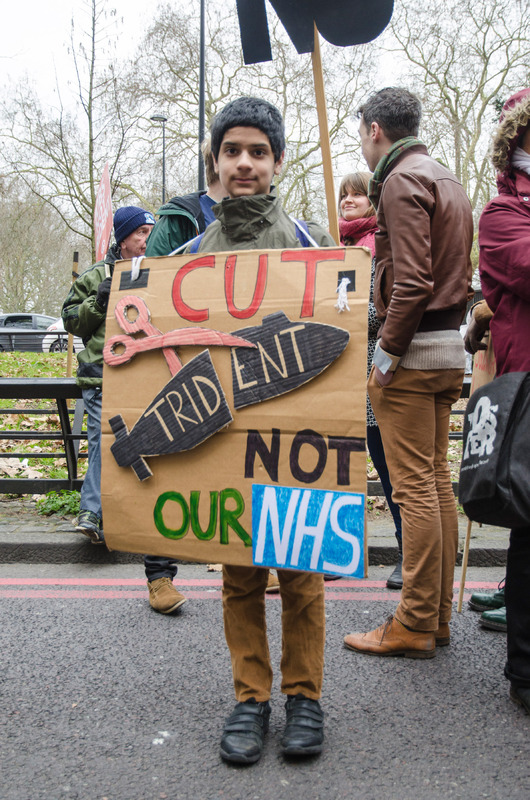 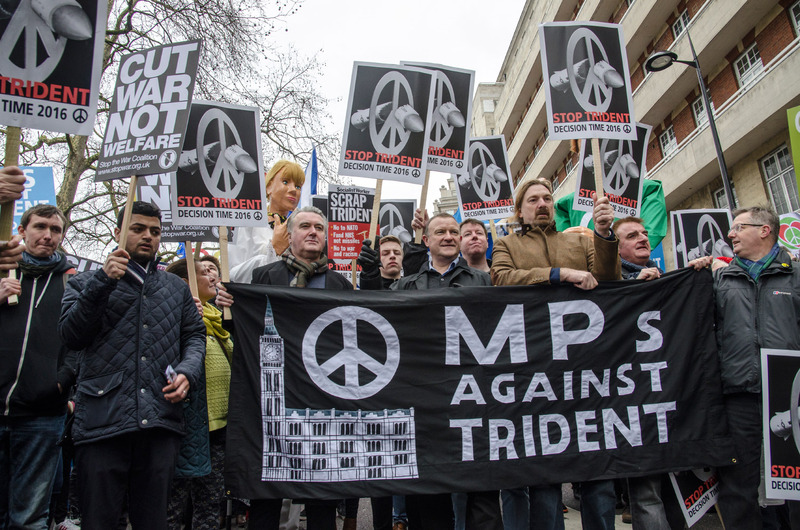 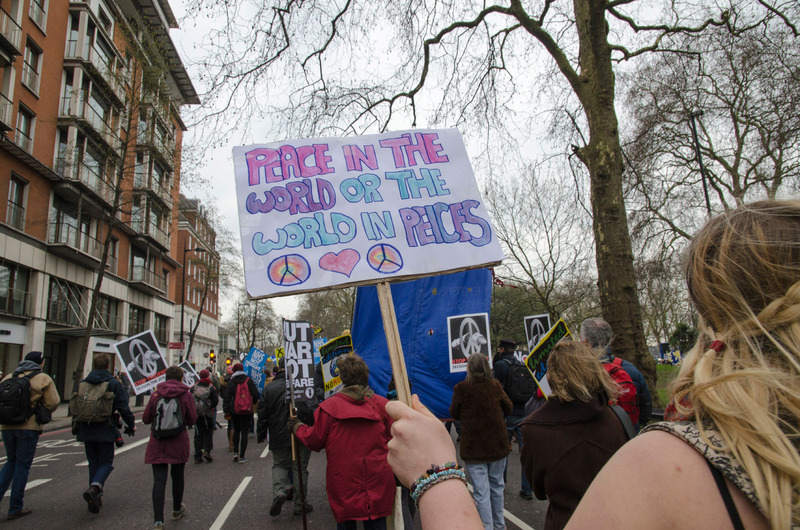 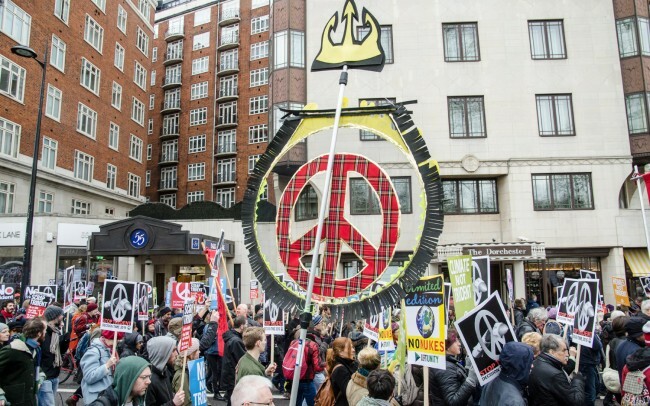 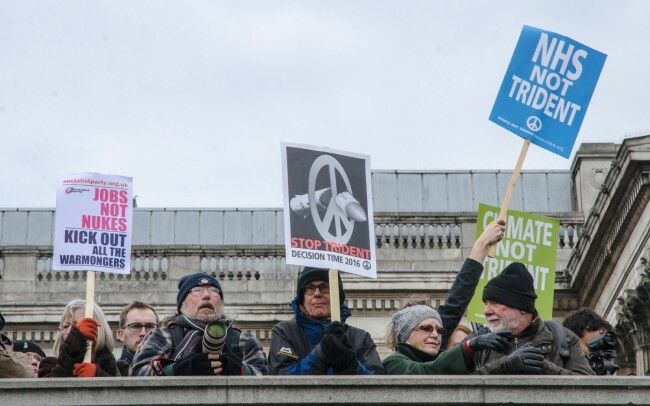 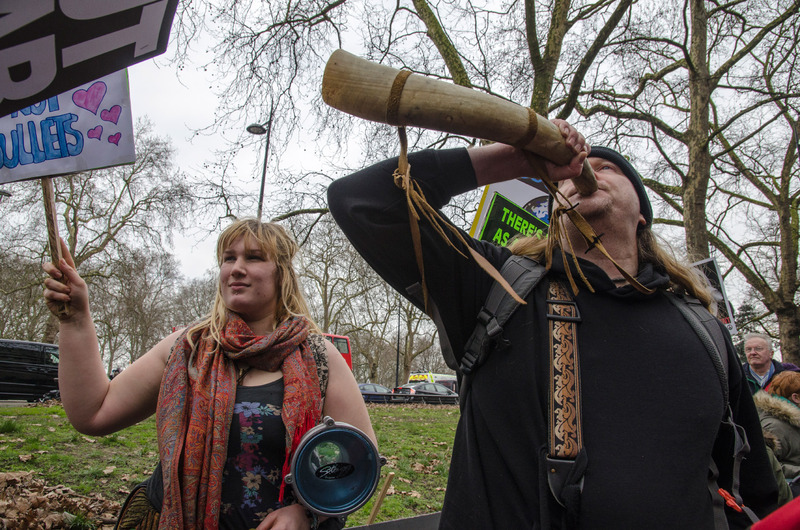 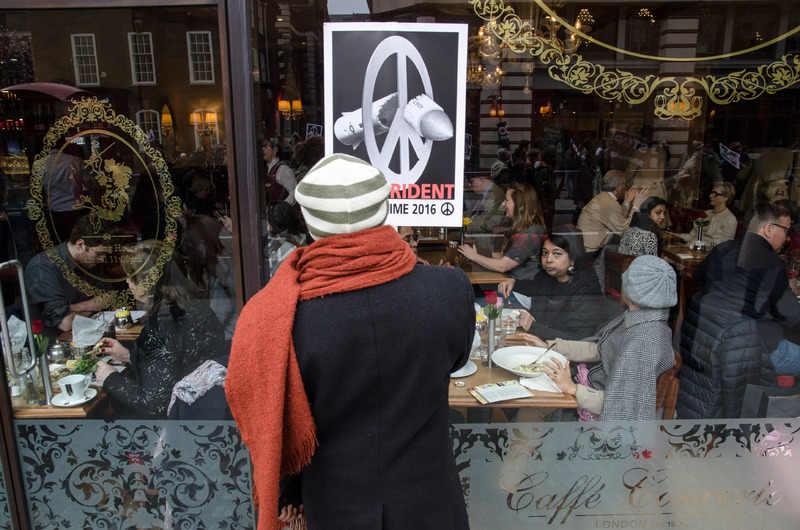 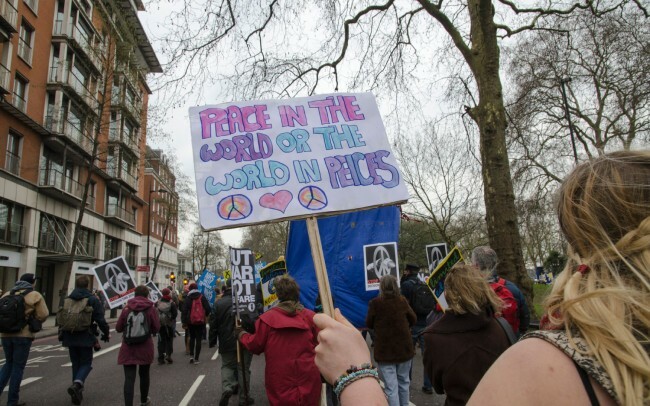 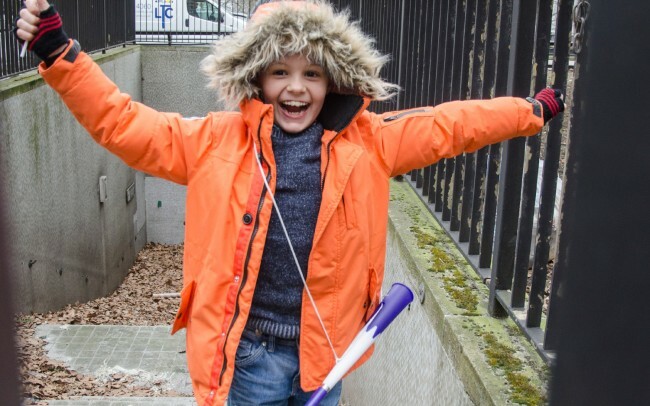 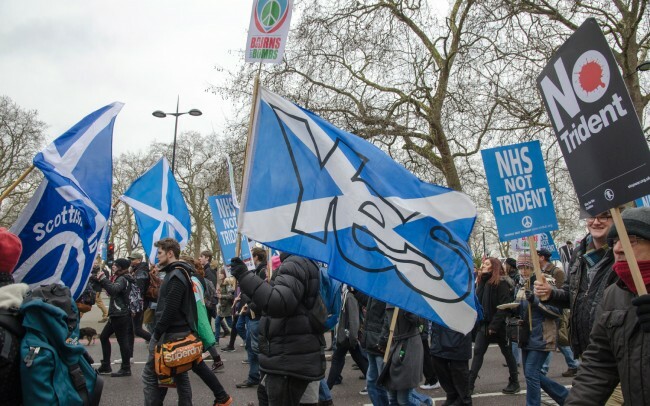 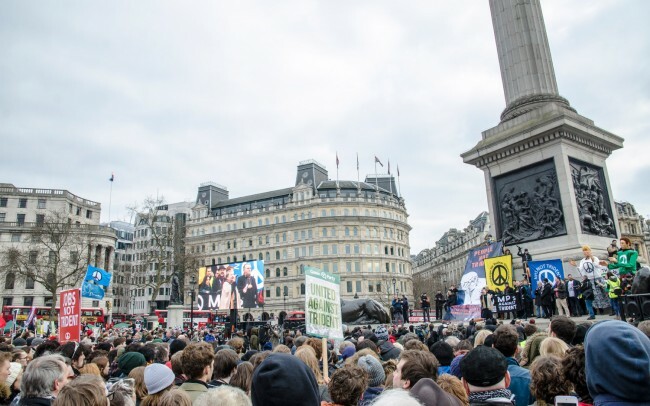 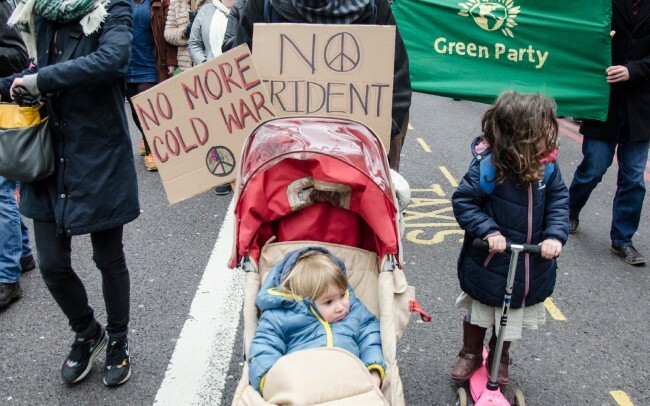 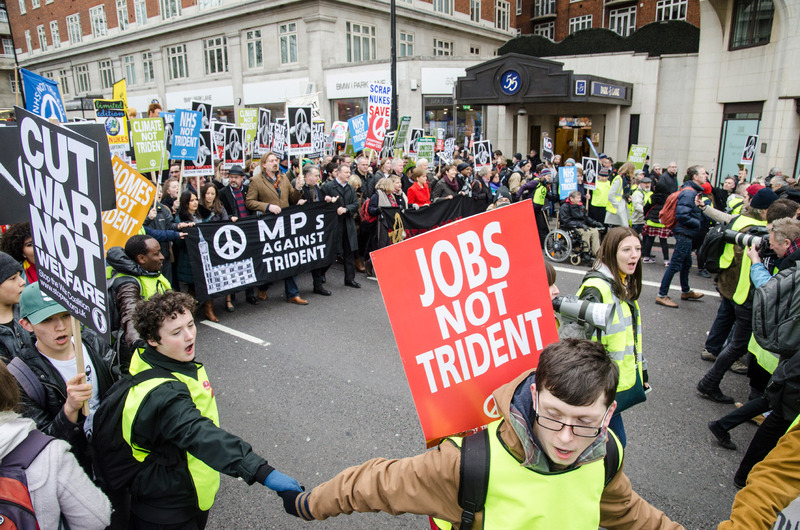 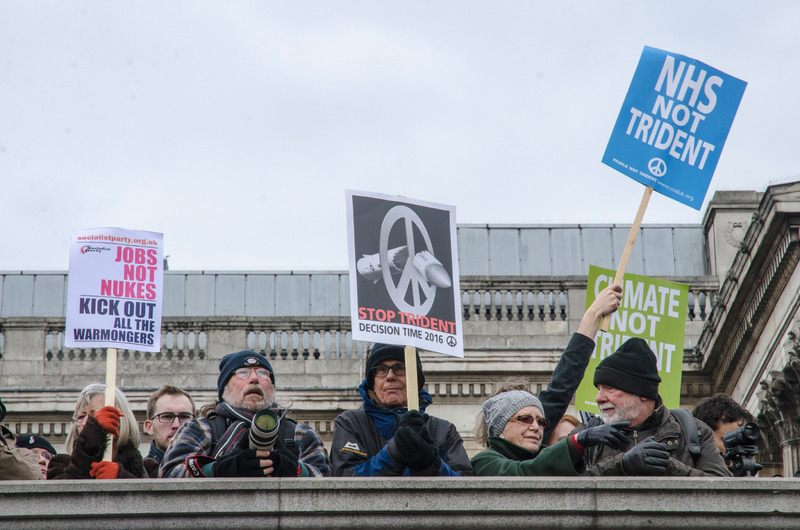 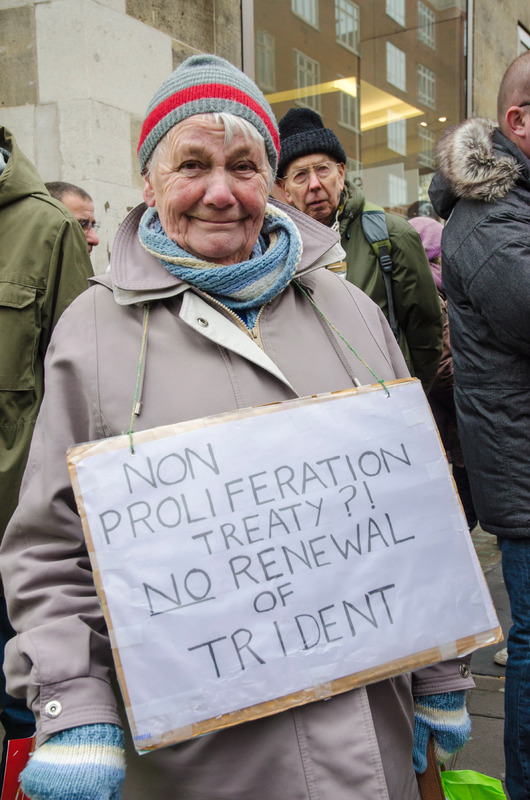 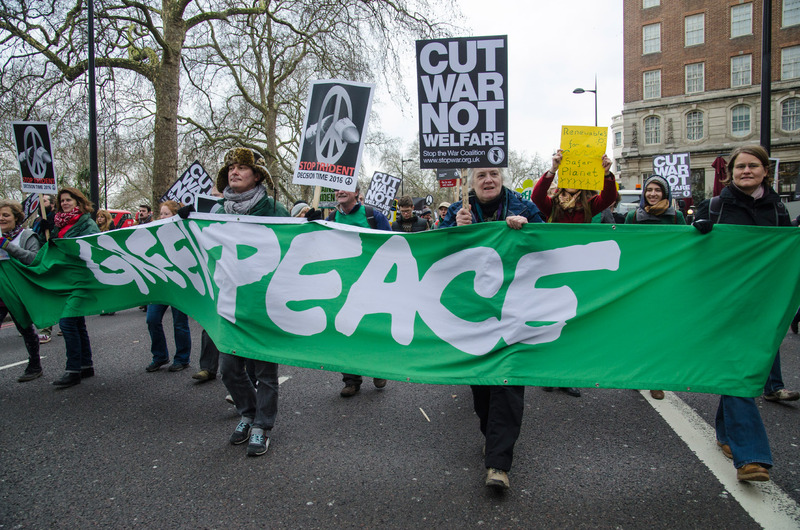 CND called a national demonstration to protest against Britain’s nuclear weapons system: Trident. 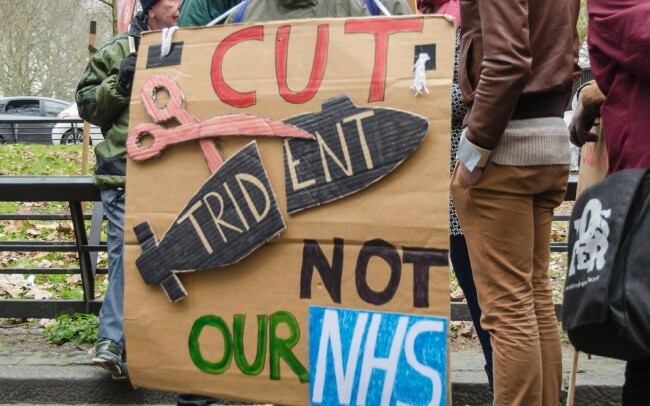 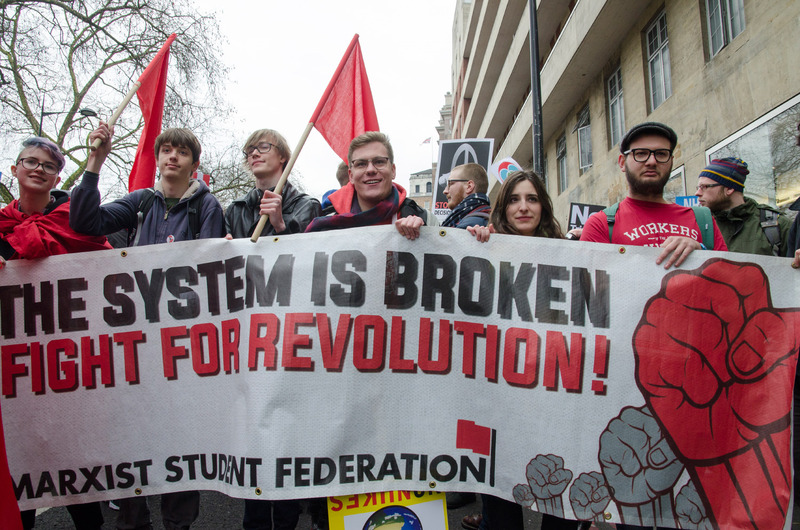 The said “No” to government plans to buy a new system at a cost of £100 billion. 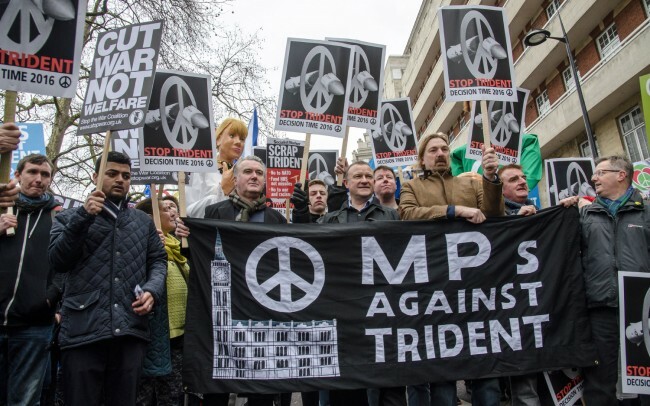 Parliament will be voting on this in 2016. 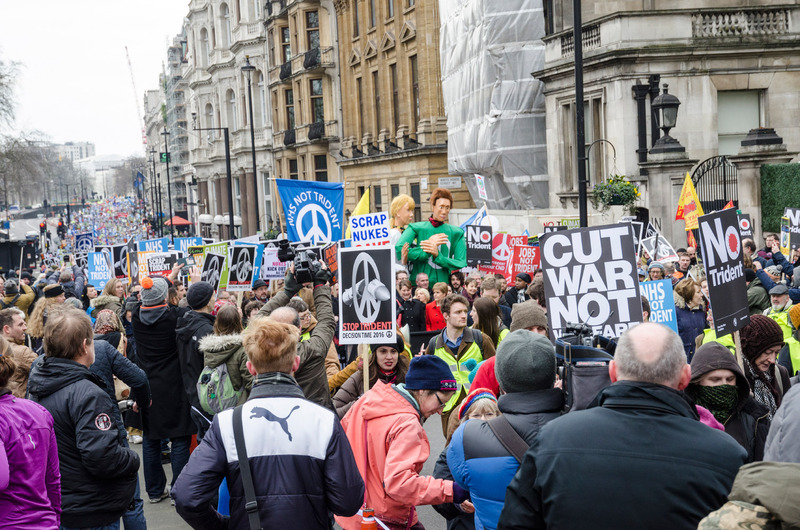 The crowd was shouting “No warfare, yes welfare” .